Why do investors make stupid mistakes? Why do individuals consistently underperform the very funds they invest in? Are there strategies investors can follow to avoid self-destructive behavior? Those are some of the weighty questions Financial Thought Leader Andrew Lo is trying to answer from two vantage points, one as a professor of Finance at MIT and Director of its Laboratory for Financial Engineering, the other as strategist and fund manager at his firm AlphaSimplex Group. This week’s conversation will start with his most recent research project at MIT, titled “Artificial Stupidity”! Investors are notorious for making bad market timing decisions. They tend to chase hot performance and sell at or near market lows. The latest research from the Bogle Financial Markets Research Center and Morningstar shows an all too familiar pattern. No matter what the mutual fund category investors underperform the very funds they invest in. Over the last 15 years for instance, investors underperformed large-cap growth funds by an average of 2 and a half percent per year. The gap with large-cap value funds was almost 2 percent annually. For international stock funds the annual underperformance was nearly the same amount. Even bond fund investors lagged by 1.8% annually! 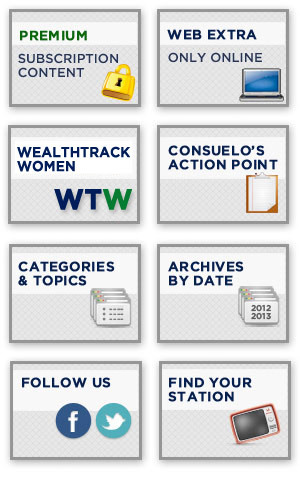 This week’s WEALTHTRACK guest is on a mission to help investors avoid poor market timing and chronic underperformance. 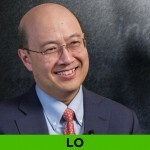 He is Financial Thought Leader Andrew Lo, Professor of Finance at the MIT Sloan School of Management and head of its Laboratory for Financial Engineering. Lo is a prolific writer for finance and economic journals. He applies his research in the real world as Founder, Chairman and Chief Investment Strategist at AlphaSimplex which runs a series of hedge fund-like mutual funds under the Natixis name, including his flagship Natixis ASG Global Alternatives Fund. Lo will discuss his latest project at MIT, which he and his colleagues have dubbed, with tongues firmly in cheek, “artificial stupidity!” They are working to understand why investors make the mistakes they do and come up with methods to correct them in portfolios. In our EXTRA website section, we’ll get an update on Lo’s innovative mega fund financing projects for cancer research and his very personal reasons for doing it. – Commodities, financial derivatives such as Treasuries, currencies, etc. Andrew Lo: How Do You Cope With Increasingly Complex Markets? The sea change in the markets. Financial Thought Leader, Andrew Lo, renowned professor of finance at MIT and hedge fund manager says the markets are more complex and challenging than ever before. He shares strategies to survive and prosper. In January of last year on WEALTHTRACK financial innovator Andrew Lo shared his proposal to use crowd financing to fund cancer research. Fast forward a year and his idea to attract investors to fund a diversified pool of cancer research projects is on its way. Lo believes a couple of smaller demonstration funds to finance research on several rare diseases will be launched within the next 6-12 months. 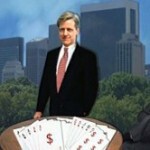 As Lo explained to us the investment idea came to him from a very personal loss.